Smacc’s goal is to make financial management as simple and affordable as possible. Its target is small and medium-sized enterprises for which Smacc offers a platform to digitize and automate accounting and financial processes. The company uses machine learning to improve the automation process and provide real time financial transparency. The estimated value of Smacc for June 2016 is €14M - €21M, according to dealroom.co. This rather unusual idea launched in June 2015 in Berlin by name ByeBuy. Currently, the service offers a wide variety of products to rent at an affordable monthly fee - from MacBooks, GoPros to drones and smartphones. The fee is roughly 5 percent of the retail price, making technology accessible to everyone. In theory, users can rent electronics for a month and try before they buy. Recently Grover launched in the U.S. significantly increasing their range of regional development. The company has up to 50 employees, the estimated valuation of the startup is unknown - Grover reached out to us to correct the information from dealroom.co we used because they have never revealed this amount. Clue helps women discover the unique patterns of their menstrual cycle by allowing them to input information how they are feeling during their period when they have it, their sexual activity, flow, and other notes. Recently, the app’s functionality included, what the company calls, “Smart Pill Tracing” - Clue asks women to tell the app whether they took their pill that day if it was taken late or completely missed. Berlin-based Clue has closed a $7 million Series A round with investment from New York’s Union Square Ventures and London-based Series A fund Mosaic Ventures, which gives Clue’s total $10 million in funds. Clue has been approached by multiple universities interested in working with data gathered by the app on studies around female reproductive health issues. Ida Tin - co-founder of Clue - says that they are working with universities like Stanford, Columbia in New York, University of Utah and Washington University. Can a fight bring something good to this world? Apparently the answer is yes! The concept of the Kontist app was born out of one entrepreneur’s fight with banks. Kontist co-founder and CEO Christopher Plantener designed a new bank account specifically for freelancers. Its goal is to automate 80% of all banking and bookkeeping processes for freelancers and also to automatically calculate taxes and set them aside. Plantener’s efforts to motivate banks to start offering special deals and services for freelancers were unsuccessful, so he solved this issues himself. He created a team of freelancers to make solutions for freelancers. Kontist’s app gives self-employed people independence by providing a real-time overview of spending and full control over their own finances, read about it here. Smart devices craze has developed in almost every aspect of our lives possible - smart shoes, smart fridges, even smart socks. Company Colorfy jumped on this craze-train and created a smart shirt called “10ELEVEN9”. It offers features like camera, gesture control, heart rate and a posture sensor. The fabric, used to make the shirts, has two layers and protects the user from RFID skimmers. Even though the Kickstarter campaign was a failure, the company still lets people sign up for an early bird of the product. The launch date is unknown. The company received two major fundings in past two years - Series A for $3M in 2015 and Series B for $13M in May of 2016. The last round was led by Benchmark Capital, with participation from Trinity Ventures, along with other existing investors. According to startupranking.com Contentful is constantly getting higher reach in customers and their SR Score is steadily increasing, check it out here. relayr is well-known for their first product - WunderBar - a rapid prototyping & product development sensor kit. So called the “IoT chocolate bar” helped the relayr team win 1st prize at Cisco’s IoT Grand Innovation Challenge, 1st prize at Code_n startup competition at Cebit, and Germany’s Focus Digital Star Award. The consisting winning streak proves that the relayr team can provide a very relevant IoT development platform, rather than yet another crowd-funding fluke. Today, relayr develops IoT solutions based on the OpenFog IoT reference architecture. Their software allows data analytics and revenue streams through the cloud. Relayr solutions are based on 3 major pillars - cloud-based solutions with open API and SDK libraries developed a platform to manage millions of devices and finally software that allows processing Big Data and create prediction model using AI technology and machine learning. In the past 3 years, the relayr got a significant amount of funds - more than $36M! ResearchGate provides a professional network for the scientific community to connect with each other to share and discuss research. It is the largest academic social network in terms of active users (more than 11 million!). “ResearchGate is an innovative and widely-used platform, which connects researchers with their peers around the world. Through providing a space to share results and ideas, it is helping researchers to advance their research and develop applications that benefit society,” said Geoffrey Love, a senior member of the Investment Division at Wellcome Trust, one of ResearchGate investors. In February 2017, ResearchGate announced that it raised $52.6M in Series D round of funding, bringing the total raised to over $100 million. The startup has been using the funds to expand its functionality by adding new features such as Projects. SoundCloud got popular years before anyone has heard about Spotify or Tidal. People praised it for its “rebelliousness” and free to listen user-generated content. Recently, multiple reports suggest that the site is in trouble because of the lack of funding and proper monetizing model making the future of the service unknown. 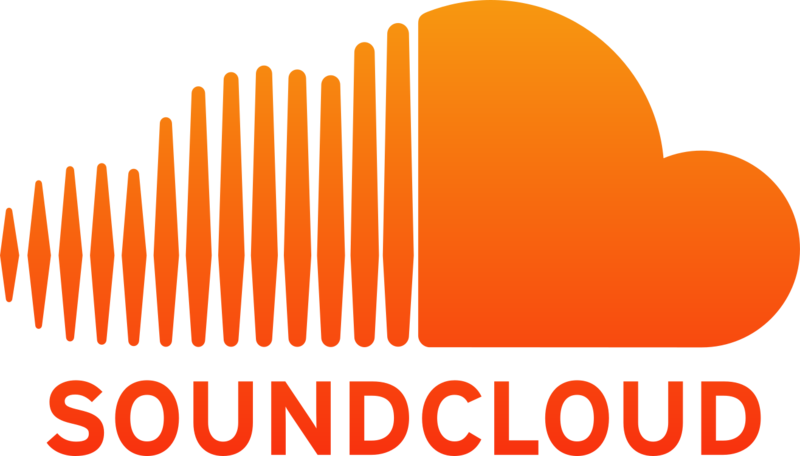 We covered some of the mistakes made by SoundCloud’s management in this article. SoundCloud is definitely on our “watch-list” of 2017. SoundCloud has 40M users (2013) and 175 million unique monthly listeners (2014). Did we miss any interesting startups from Germany that are worth watching out for in 2017? Let us know in the comments!